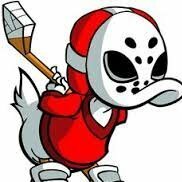 There are no trap games now, teams are either gonna step up and face us or we’re gonna boat race them. Season over. Canadian Saint didn't make the GDT. We won't win another game now. Way to go, @Dome. The season tank is all your fault! Two things I learned from last nights game, KC vs LA. 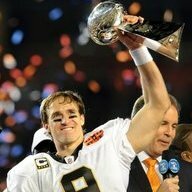 First, Brees is the clear cut MVP. We don't see him with 5 costly turnovers in primetime. He's done what he has against better defensive competition. Secondly, I am not afraid of either of those teams heading towards a possible Super Bowl. Other than a low scoring defensive struggle. Nah. We've had lots of GD threads from others where we won. (Atlanta, NYG, Was). It's gonna be ok. The Saints are better than superstition. ...that being said, I will try not to watch this game. I've caught the majority of only one this season and it was.... the first. I just had to dump the rest of the broiled Bengal. The Raven went to my dog. Actually right now, we give up a lower PPG than both KC and the Rams. Essentially this post wanted to say that while we had a horrid start to the season defensively, since then at worst they've been league average. Realistically I think they've been better, and I honestly think the turn around is due to 3 players. Rankins, Anzalone and Apple. Rankins being disruptive in the middle has allowed our pass rush to be really effective and generating pressure. Anzalone being a LB who can drop into coverage effectively has helped coverage in the short areas and lastly Apple has freed up the safeties to help in other areas. Those combined, I'd argue we've played like a top 10 D more than a middling one. Falcon games are always a toss up. The best rivalry in the NFL, and these games are always close. Normally I pick us splitting the season with them, but with their losses to the Browns and Dallas in the particular fashions they lost, I think they've checked out mentally. It'll be tough sledding till the 3rd, then we'll pull away I reckon. We'll also be better on Ridley thank god. Scheduling gods actually helped us on this year too. Back-to-back TNF games at home (ATL) and then a short trip to Dallas is great, especially considering we have a 10 day break after that. Should really help us rest up for the end stretch. Especially against the Panthers. Also, all in favor of having @Dome drawn and quartered if we some how come up short this week? 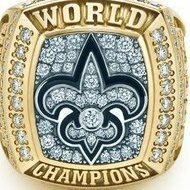 I feel good about it too, but the Falcons would love nothing more than to spoil the Saints season. Not that big of a shock to see...but the Saints's D, statically is ranking middle of the pack again. 16th in Yards allowed per Game and 15th in PPG. D is making it work.